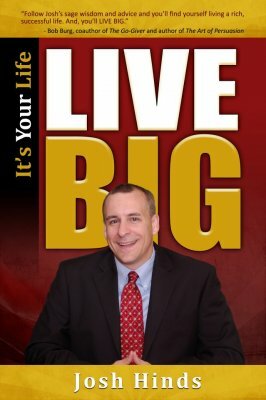 Life Change Strategist, Speaker and the Author of "It's Your Life, LIVE BIG" and Why Perfect Timing is a Myth. My presentation 'Lessons for Living BIG!' will give your team the tools necessary to achieve measurable, lasting results -- which leads to greater profitability & leaves a lasting impact. 'A Powerful Message of Hope and Encouragement Fused With Actionable Strategies YOU Can Implement to LIVE BIG!' The message from Josh is one of motivation and inspiration, overcoming obstacles and excelling in spite of challenges in life. He shares how to use work-arounds to get the results you are after, even if the solution is anything but obvious to start with! If you would like to instill a can-do attitude in your team or organization, then Josh is the perfect speaker for your next event! Josh also runs a network of personal development websites and a newsletter called Lets Talk Motivation! He teaches on topics related to: motivation & human potential with a specialty in 'Overcoming adversity & using it as a catalyst for success'. Additionally, through his coaching, training, and consulting he teaches his clients to create amazing customer relationships! Specialties: Employee motivation, peak performance training, business brainstorming, executive coaching, sales training, business strategy, sales, selling, sales trainer, networking, business networking, encouragement, hope, overcoming challenges, success through adversity, business writing, professional speaking, consulting, and training. 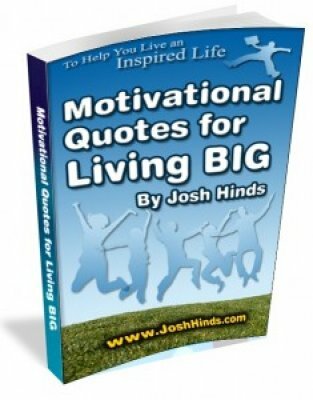 Josh Hinds is a proven mentor and inspirational speaker. 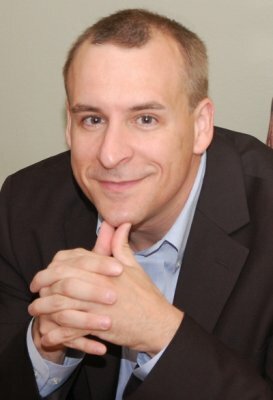 In addition to his well known and constantly growing network of professional development related websites such as BusinessNetworkingAdvice.com; SalesTrainingAdvice.com; BusinessLeadershipAdvice.com and GoalsSuccess.com, Josh is the founder of GetMotivation.com. This is a wonderfully empowering and inspiring site which has been visited by millions of people world-wide. - Its Your Life, LIVE BIG! We had Josh speak at our annual Extreme Business Makeovers event and he was one of our biggest hits. His genuineness, authenticity, real-world experience and the way he truly wants his audience to succeed comes through loud and clear. Not only is Josh one of the masters of todays personal development movement, he is a pleasure to have present at a live event. Josh, thank you for all the wisdom, insight, and tangible principles that you shared with us on Terrific Tuesday! We're all still fired up and ready to take on the world! Your passion for inspiring the best in others is truly obvious and we simply can't wait to have you join us again! His Story Inspires You To Change The Game. Josh has overcome some extraordinary challenges to live his best life. His story inspires you to change the game. A Role Model For Professionals. Josh Hinds is nothing short of a role model for professionals. With dignity and compassion, he shares his personal story and strategic insights with entrepreneurial audiences across the country. A total class act! A life-changing speaker, I HIGHLY recommend. As a seminar promoter, it is vital that I provide my audiences with speakers who educate and inspire as well as entertain. Josh Hinds does all that and more! His personal story and highly relate-able style are amazingly compelling and leave his audience forever changed! 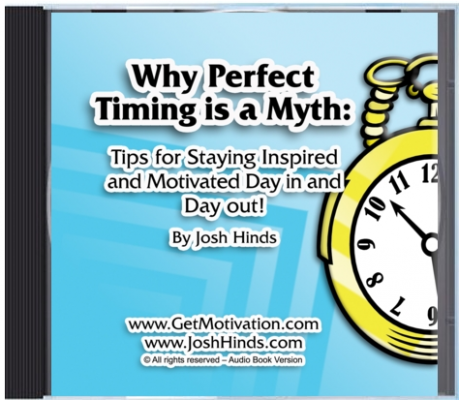 If you are looking for a fantastic presentation for your event or are interested in learning from a life-changing speaker, I HIGHLY recommend Josh Hinds! Truly, Truly Inspirational. Josh, you were INCREDIBLE on our Saturday morning mentoring call! Truly, truly inspirational. Thank you for sharing your wisdom on success and overcoming. Your life story and your way of inspiring others to succeed is unforgettable. Thank you! A True Motivator For All Ages. Drawing from his own personal experiences and understanding the emotional toll that life challenges can bring to an individual, Josh Hinds is a true motivator for all ages. He helps everyone to embrace the obstacles that life brings their way as opportunities to prove their strength during adversity and find victories in completing the steps to accomplish their goals. His insight for helping others realize their potential through organization, planning and positive thinking help everyone who hears him change their thoughts and attitudes for taking control of their own destiny. One of the First People I Think of in the Success and Motivation Business. I have known Josh Hinds for many years. And he is one of the first people I think of in the success and motivation business as a shining example of authenticity and caring. There is never a doubt about Josh delivering on his promises. I recommend you listen to what he has to say and follow his advice. You cannot go wrong. You have a command of presence, a business acumen that makes it high-level enough for the more savvy business person yet understandable for the new business owner. It was both a pleasure meeting you and a privilege to hear you at the Extreme Business Makeovers event (XBM). You have a command of presence, a business acumen that makes it high-level enough for the more savvy business person yet understandable for the new business owner. Your presence and demeanor charmed the audience and engaged them even more to listen and want to learn from you. I know that many people rated you as one of the highlights of the event, myself included. Your message was memorable even months later. Josh, thank you for taking the stage at the seminar in Chicago this past October. Your personal story and your professional story were blended together in such a way that made your content memorable months later. The inspiration of connecting to people on a human level with the candor and empathy that 1-1 conversations can bring, even when that conversation exists because of work or online, was powerful. I admire your perseverance and dedication toward realizing your dream and making an impact in the world around you. Thanks for sharing part of your world with those of us at that meeting. Josh Hinds may talk about the adversity of pursuing a career in sales and public speaking while struggling with the symptoms of Tourettes, but in reality there are few speakers who are so articulate or impassioned about the power and possibilities that lie within us all. He believes in the ability of the human spirit to triumph over any difficulty, not because he has done it, but because he knows beyond a doubt that we all can. Josh transfers that belief to his audience, giving us no excuse for excuses but encouraging us in such a kind an gentle manner that we are uplifted rather than intimidated. You leave with your intent fully focused on your outcome and your determination to achieve doubled or even tripled by the experience. Solid Tools for Success in Business and Life. 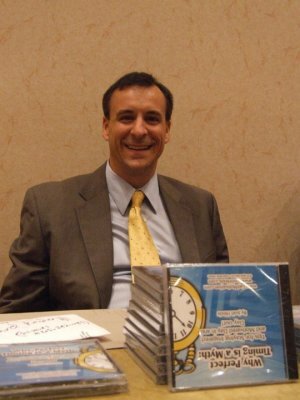 Josh Hinds was a featured speaker in my Twelve Factors of Success in Action teleseries. His insights on confidence and overcoming adversity were profound. The specific tips he provided to find a way around challenges were simple, practical, and easy to follow. Josh has a core philosophy of helping others as the best path to success came shining through in everything he shared. I highly recommend Josh as an inspirational speaker who genuinely and generously shares solid tools for success in business and life. He provided a fun professional development opportunity. 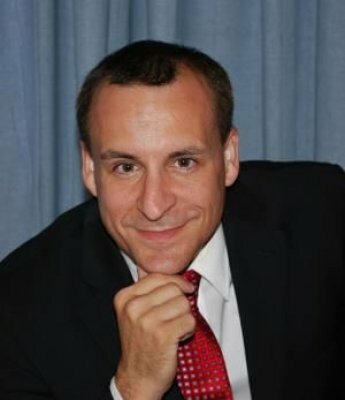 For Administrative Professionals Day 2011, our local chapter of International Association of Administrative Professionals (IAAP) group invited Josh Hinds to be our guest speaker. Josh captivated his audience by sharing his life experiences in a very genuine, personal way on how obstacles will ultimately come in pursuing those goals, but how each one can be overcome. He kept lively interaction with the audience by Q & A. Josh was a great encourager and motivator to pursue our dreams and showed us, by his life example, that they are possible. He provided a fun professional development opportunity. Authentic and Genuine. I have known Josh virtually for years and have always known him to be a generous and practical professional. I had the pleasure of seeing Josh speak earlier this year, and his presentation was certainly the most authentic of the conference, and perhaps one of the most genuine I have experienced. He engaged completely with the audience and made sure we were with him. I liked feeling I was in a stimulating, private conversation with him. I have since asked his advice and feedback, and his genuine generosity and commitment to me, his customer, is admirable. And appreciated. 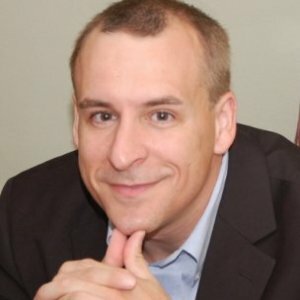 Josh Hinds is becoming, in my opinion, the Earl Nightingale of the e-world. Not only is the man pure motivation but, like the late, great Mr. Nightingale, knows how to attract other motivators to join him in his mission as well. Go to his site, bookmark it, return often, learn from it and, most of all, benefit from it. In this powerful presentation Josh weaves his inspiring story of overcoming personal and professional adversity to go on to fulfill his dream of bringing personal development and motivation to a worldwide audience. While highly inspirational and motivational this presentation is also full of life lessons and strategies which members of your audience can put into place immediately to achieve greater success in both their personal and professional lives. Goal Card System: Lessons for Living Big! A training, where I can take participants through using the Goal Cards System, and also helping them actually create their own Goal Cards for themselves. I take participants through how and why the system works, and walk them through creating their own to use. A Powerful Message of Hope and Encouragement Fused With Actionable Strategies YOU Can Implement to LIVE BIG! The message from Josh is one of motivation and inspiration, overcoming obstacles and excelling in spite of challenges in life. He shares how to use work-arounds to get the results you are after, even if the solution is anything but obvious to start with! If you would like to instill a can-do attitude in your team or organization, then Josh is the perfect speaker for your next event!